I am a specialist Consultant in all aspects of Employment practice and Employment law. I am a Graduate from Newcastle University and a Fellow of the Chartered Institute of Personnel and Development. I have a massive amount of knowledge and experience. I am the main employment law consultant for Habia and also produce monthly articles in the Trade Press on Employment issues. I can completely transform and streamline your employment policies, practices and staff contracts, as well as helping you with any delicate emploment matters. I am able to offer full telephone and email support as well as completely design, or redesign, all your policies/contracts etc for a very reasonable annual fee, plus I'm right there when you just want to ask some advice or get some help on an employment matter. You can always speak to me directly, not to an assistant or a call centre. I am available on the phone or email all day up to 8pm to offer immediate help and advice. The service has a fixed annual cost irrespective of usage. 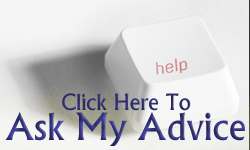 I give you realistic business options/solutions based on 25 years experience.